More huge news from Fight Options! 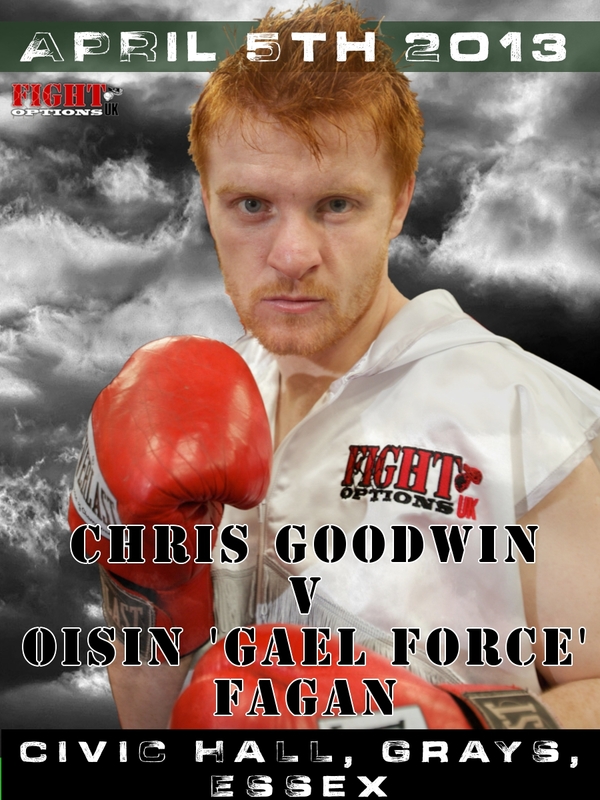 It has been announced that Chester lightweight Chris Goodwin (16-2-1) and Irish warrior Oisin Fagan (26-8 15KO) will finally face off on April 5th at the Civic Hall, in Grays, Essex. The match had originally been scheduled for December of last year, until Chris’ sister was involved in a near-fatal car crash and the fight was scrapped (She is thankfully making a recovery). 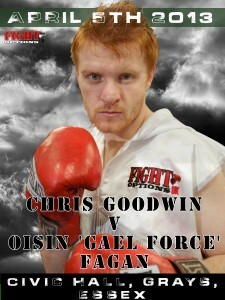 The fight is scheduled for ten rounds and will be promoted by Steve Goodwin. It will also be live on Eurosport. For Goodwin, this is a huge opportunity to impress in front of a TV audience against a man who is well known in British and American boxing circles. Though many a good word has been spoken about Goodwin’s skills during his sparring with the likes of Ricky Burns, Kevin Mitchell and Martin Gethin, the general public mostly know him from his narrow majority points loss to Carl Johanneson last year. This could be something of a coming out party for Goodwin, if of course it goes right. 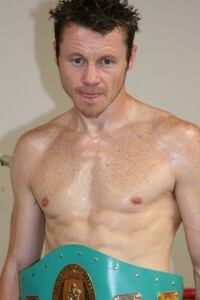 Fagan is well known for his fights against Amir Khan, Paul Spadafora and Julio Cesar Chavez Jnr. Though he is not as young as he once was, Fagan has been adamant from the start of negotiations that he thinks he has what it takes to beat the young prospect. Things got heated around the time of the cancellation last year. Though nobody could ever think that Fagan thought Chris’s sister’s injuries were being exaggerated, there was an obvious frustration from Oisin that he was now not going to get the fight he so craved. Thankfully the fight will now take place and, despite Fagan’s advancing years, his come forward, attacking style will pose a new set of problems for Goodwin as he moves towards a major title shot. It is also a major risk for Goodwin. If he loses, then people, rightly or wrongly, will view him as having lost to a fighter past his best. That kind of setback will be hard to recover from. Even if he wins, TV viewers will want to see a fighter with real quality after reading all the column inches. He may not only need to win, but win well in the process. Fagan on the other hand has nothing to lose and this relieves him of any pressure. 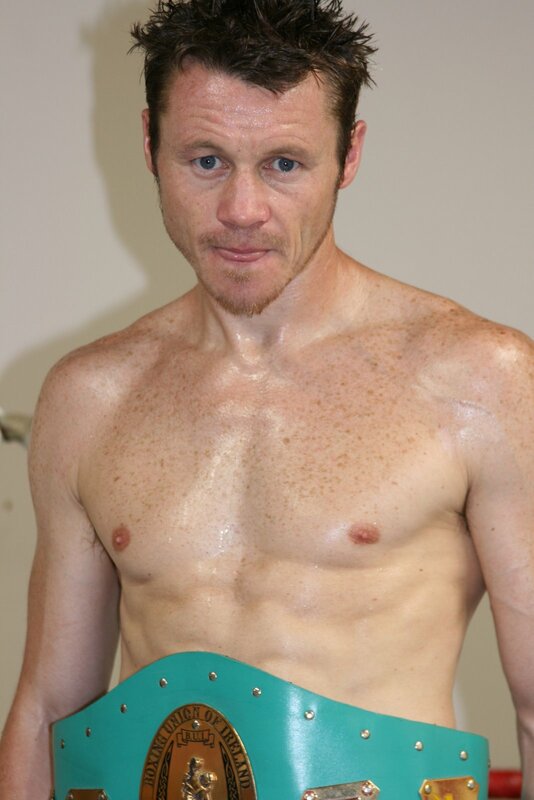 He can give it one last shot against the young prospect, and win or lose, will exit an Irish hero. Any fighter like that is dangerous. Chris and Paul are ready to rock Chester! War of the Worlds – Title fights are coming to Chester in August! Goodwin and Economides Win on Chester Return!